For the fourth consecutive year, La Ronde (“The Round”), a great contemporary art manifestation from the Normand territory, comes back. Just like in 2017 and 2018, based on a project call launched through France, the Metropolitan museums and their partners will exhibit the work of contemporary artists, renowned or emerging: sculpture, drawing, photography, installations, ceramic, performance… All forms of contemporary creation will be present and, during two months, the visitors will be able to discover, through different courses among the permanent collections, many exclusive artworks. This year, a new version of La Ronde’s revue will cover, apart from the projects presented for this exhibition, the entire actuality linked to contemporary art in the museums. Born in Italy, Stefano Bianchi has established himself in France. He dedicates his whole to exploring the essence of photography: Light. Here is his subject. In order to work with it, he chose on purpose modest objects that a rapid glance would gladly qualify as “poor”: mob, rags, used cardboard boxes, threadbare tarpaulins. Put into light under the lens of the artist’s large format camera, the objects reach a dimension that were still unknown to them. 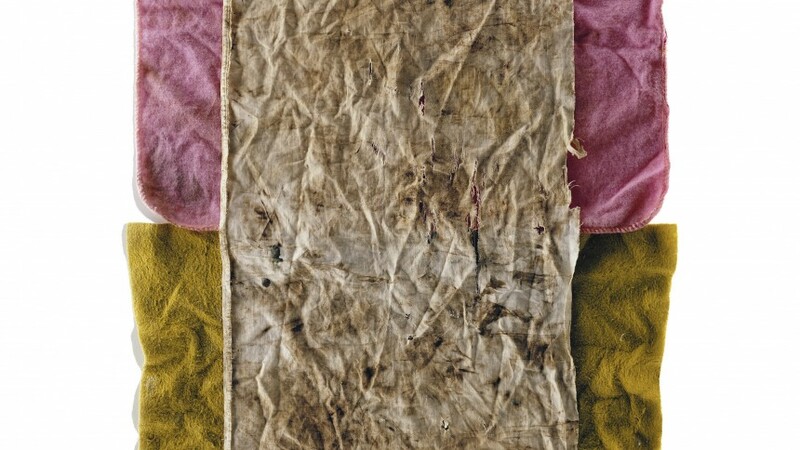 The mob and the rag reveal a complex and rich material; the boxes confide their delicacy when the threadbare tarpaulins expose their pictorial aspect. Stephano Bianchi’s photography testifies to nothing but the artist’s look; just like the painter, Bianchi explores the material of his medium. The approach is minimalist and the artwork dazzlingly rich. The series Stracci own some monumental composition, deploying a rich Camaïeu of ochre and grey, sometimes punctuated with pink. As a starting point of the artworks, some vulgar mobs used up to the fibre. The particular lightning applied reveals an unexpected pictorial quality. Stephano Bianchi pursues here his photographic exploration of these poor materials and forsaken objects he loves. Here again, like in his other works, it is about bringing to light an infra-reality. These huge textiles leave one by one their trivial condition and reveal their pictorial potential thanks to the photographic gesture. The photographs echoes particularly in the Fabrique des Savoir and more specifically in the machine’s room, recalling the past of this place that used to be a textile factory. Between the imposing silhouettes of the looms and other machines, the fragile photographs will appear. Big as the photographs are, they will be appreciated from a far distance and, will be able to reveal, to the attentive eye, a swarming number of details. With this exhibition, we propose with Stephano Bianchi an interrogation on the sight’s exercise.